Can a Promise to Make a Will Be Enforced in New York? From time to time our firm is asked if a promise to make a Will leaving one’s inheritance to a particular person is enforceable. 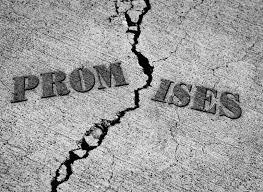 Such promises occur in the following situations. A relative spends a lot of time with another, perhaps even doing substantial favors for the person, who repeatedly says “I won’t forget about you in my Will.” A person may have intended to revise his Will to include someone, told that person of such intent, but never got around to making the revision. Such a suggestion may also be part of a resolution of a marital dispute wherein the spouse agrees to provide for a child in his Will. Our basic answer is that such promises are not enforceable in New York. Even if a particular disposition is made in a Will favoring a particular person, such a provision could be removed upon the execution of a Codicil (amendment to a Will) or in an entirely new Will. Since Wills are organic documents that can be changed as the Testator (the legal term for the person who makes a Will) desires, obtaining assets through a lifetime gift or having a dispute settled by the payment of funds during lifetime is the only way to make sure that such assets are left as desired by the recipient. The testator can leave his assets to any person or charity that he wishes. Our readers may have heard of the term intestacy, which is the legal term for passing away without a Will. In such a situation, New York State’s statute determines who will inherit a person’s assets, which is dependent upon such person’s relationship to the deceased. If the closest surviving person to the deceased is his daughter, then she would inherit the assets. Should the deceased have a surviving spouse and children, then spouse receives $50,000.00 plus half of the assets and the children divide the other half of the assets. The law favors the making of a Will. Even if particular “intended recipients” were excluded, the Surrogate’s Court considers the provisions in a Will to be ironclad. In addition, a testator may include what is known as an ad terrorem clause. Such a provision states something like “I leave $1,000.00 to my brother. Should he contest this bequest, he will receive $0”. This clause is used to counteract any potential Will contest by giving a person less incentive to contest the Will. Of course, a Will needs to be made by a person with legal competence as well as be properly executed and witnessed. Should a person not be pleased with the dispositions in a Will, his only recourse would be to contest the Will. If the Will is determined to be valid, a “promise” to make other provisions in a Will is not enforceable in New York. Our readers may wish to consult our attorneys if they question the validity of a Will or want to make a new Will. Clients should make their attorney aware of any potential conflicts or challenges so that proper provisions are built into the documents that are properly selected by the attorney.